Hi, Folks and Welcome to My Website! So, you’ve retired also. Congratulations! Or, maybe you’re hoping to retire soon. That’s also an exciting time (and maybe a little scary too 🙂 ). Now, what about earning money online? Is it really possible? I’m guessing these are the main questions that have brought you to my site and, I’m going to do my best to answer those questions for you. In early 2015, I retired from the 9 to 5 grind after a 40-year career working in public accounting, business education and ultimately corporate accounting. While there were many elements of my job that I truly loved, it was definitely time to leave the long hours, stress and constant deadlines behind. Maybe you can relate? I live in a very social, 55-Plus community with fantastic common facilities and have thoroughly enjoyed the self-indulgent nature of the retiree lifestyle. In particular, we have an amazing executive golf course that has beckoned me on a regular basis. 🙂 I’ve also found purpose in volunteering and the intrinsic rewards that come with giving back to the community. And yet…It wasn’t quite enough. More and more often, I found myself asking, what’s next? I’d been really intrigued by the possibilities of working online for many years. Once I retired and had the time, I began seriously exploring that option. After a lot of research, and a few wrong turns, I found my way to Wealthy Affiliate. This fabulous online community was the answer I’d been looking for. My online journey began, and I’ve never looked back! I have to say it’s been both exciting and a lot of fun becoming an affiliate marketer. I’ve had the opportunity to develop websites in more than one niche, and I’ve learned SO much along the way. If you’d like to join me, you can register here for a Free Starter Membership in Wealthy Affiliate. I would love the opportunity to network and help you establish your own online business. In fact, you’ll find the entire community to be extremely welcoming, supportive, and helpful! I’ve created this website to share some of my experiences and the knowledge I’ve acquired with folks like yourself. My sincere hope is that you find my tips and techniques for creating an online business to be engaging and useful. Perhaps most importantly, I want to answer a big question you may have in your mind. Is it possible to supplement retirement income by making money online without giving up the freedom retirement offers? That would be an emphatic YES! P.S. Can I ask a favor? Each of the pages and posts on my site has a comment section at the bottom. 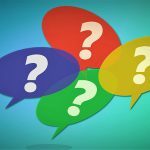 Will you use them to share your thoughts, ideas, and any questions you have? I promise to get back to you as quickly as possible. Linda, your lifeline looks a bit like mine. I did however have one false start at university following incorrect advice by a school councillor. So I took that as a reason to start the work to afford travel routine. And I wouldn’t change that for the world. My only regret is the number of fantastic fellow travellers I met and lost contact with. Finally I decided to grow up (ha that still hasn’t happened but I do try!) So I went back to university and did a totally unrelated degree in Civil Engineering. And I loved working in it. When I moved to Tasmania I found it was basically a job for boys system in engineering so I went in to building management. That as you say was stressful, tiring etc but I really loved both my careers here. And like you I have been interested in internet marketing but never had time to explore it. I love the idea of your site and will be coming back to get some hints and advice. Thanks so much for your comments. It sounds like you were ready for retirement also 🙂 I hope you enjoy your exploration into Internet Marketing as much as I have. Please do stop back to my site and let me know if I can be of help. I’m happy to assist in any way that I can. Good luck to you! Linda, I find this blog very educational and trustworthy. Thank you for clarifying the difference between a post and a page and to know the difference in which one is static! Thank you for your kind words 🙂 My goal is to help folks with a desire to supplement their income online. Many of us don’t have a strong technical background and we’re a little unsure about some of the terms that are bandied about. I think it can really make a difference when people start feeling a bit more comfortable with website basics. I know it made a big difference for me. Thanks for your comments! Hi Linda, I really enjoy reading from your website and I like how you’ve structured it in an easy to read and eye catching format. I hope to learn a lot from you on building great websites. Thank you so much for your very kind comments. Building my website has been a labor of love. Finding Wealthy Affiliate and creating my site has been a real game-changer for me and I thoroughly enjoy the opportunity to share what I’ve learned with others. I wish you the very best with your own site! 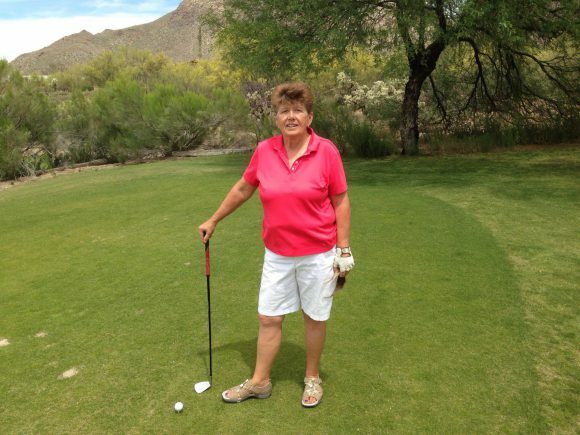 I love everything about your site – and then I find out you golf! I know we would be fast friends. Keep doing what you are doing because you are doing GREAT! It does sound like you and I are like-minded in many ways 🙂 Thanks for visiting and for the kind words on my site! Hi Linda! Your site is so wonderful and informative. 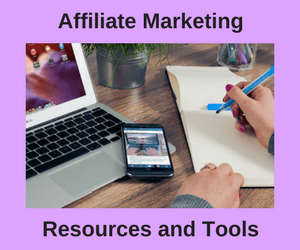 I am interested in Affiliate Marketing but intimidated by WordPress – there are SO many themes to choose from. I was wondering what theme you use and if you might be able to offer any advice on starting out. Many thanks! I appreciate the kind words. My site has been a labor of love. I use the HitMag theme and am very pleased with its flexibility and ease of navigation. WordPress is a very powerful Content Management System but there’s no need for intimidation. I’ve found it to be very user-friendly. In my opinion, the best way to get started is with Wealthy Affiliate. They offer all the resources and training you need to become a WordPress power user and successful affiliate marketer. But there’s no need to take my word for that because they have a free starter membership. All you need is an email address to try WordPress out for yourself and get some hands-on experience. Drop me a line on my WA profile page and I’ll be happy to help you out in any way that I can. Good luck!